Time for our SNL open thread, everybody! 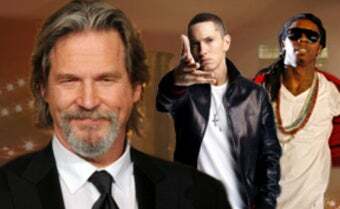 Tonight's installment stars Jeff Bridges, Eminem, and Lil Wayne. One of the three is not a rap artist: guess which one in the comments.